This dessert is called payasam in my language. This dessert is usually made on festivals like onam and birthdays in my native country, but without apple. Usually we use rice flakes or vermicelli to make the payasam. Either way, this will be a yummy, nutritious treat for the kids. Soak the tapioca balls in boiled water for 20 minutes. Wash and drain the soaked tapioca balls and set aside. Heat 2 tbsp ghee in a heavy bottomed vessel. 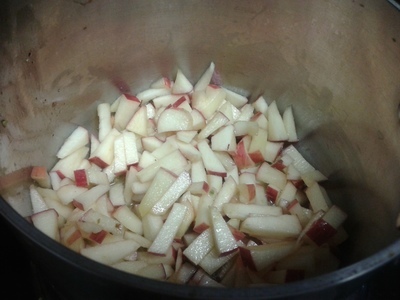 Cook the chopped apples in hot ghee for 3 or 4 minutes. Remove the apple from ghee and set aside. Fry the raisins and nuts in the ghee for 30 seconds and set aside. Again add 1 tbsp ghee into the hot pan. 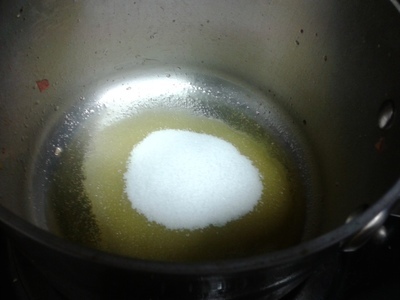 When ghee is hot, add sugar and saute until the sugar melts. Now add the milk and the soaked tapioca balls into the pan. 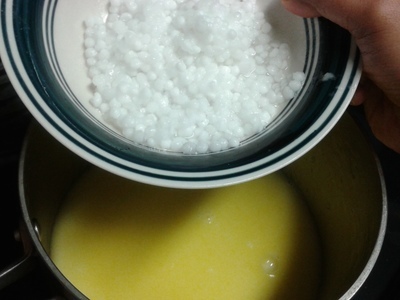 Cook on low to medium flame until the tapioca balls are soft and milk is thickened. 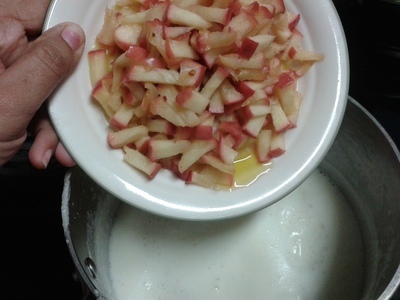 Now add the fried apple into the thickened milk. Mix well and cook for 5 minutes. Remove from heat. Add the fried raisins, remaining ghee, nuts and cardamom powder into the pudding. 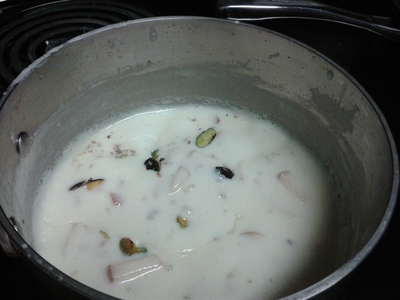 The yummy apple milk payasam (pudding) is ready. Serve warm. Great healthy payasam. I am from Kerala too.